Nyenga’s program to support talented young people for education is well under way. After six months of varied work experience at Nyenga, the first 2 start their university studies in August. 2 new girls are recruited into the program. We seek to find other organizations we can cooperate with and therefore we are excited about the Norwegian-based Fontes Foundation in Kampala. 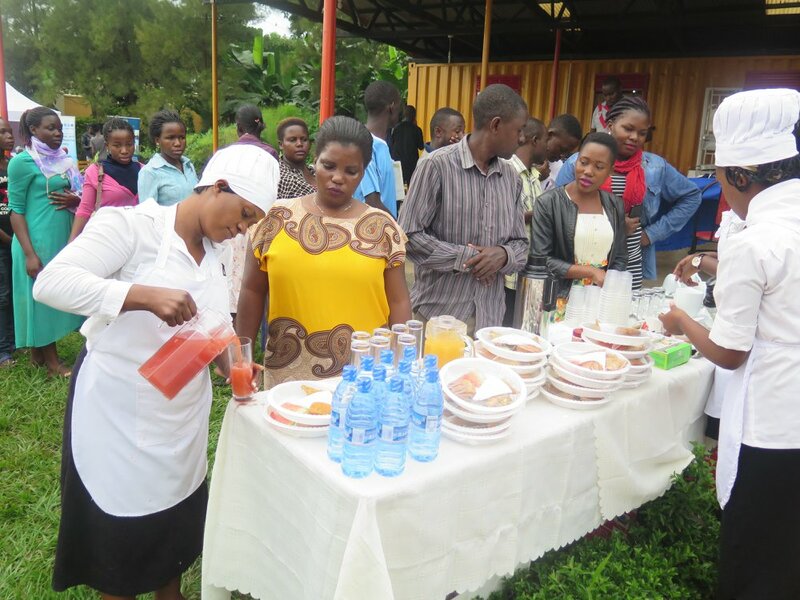 They help youth into work by giving them the knowledge, skills and attitudes that the labor market demands. On Friday 8th of June the annual Fontes Career Day event took place. The Career Day was a great success with students and employers connecting. 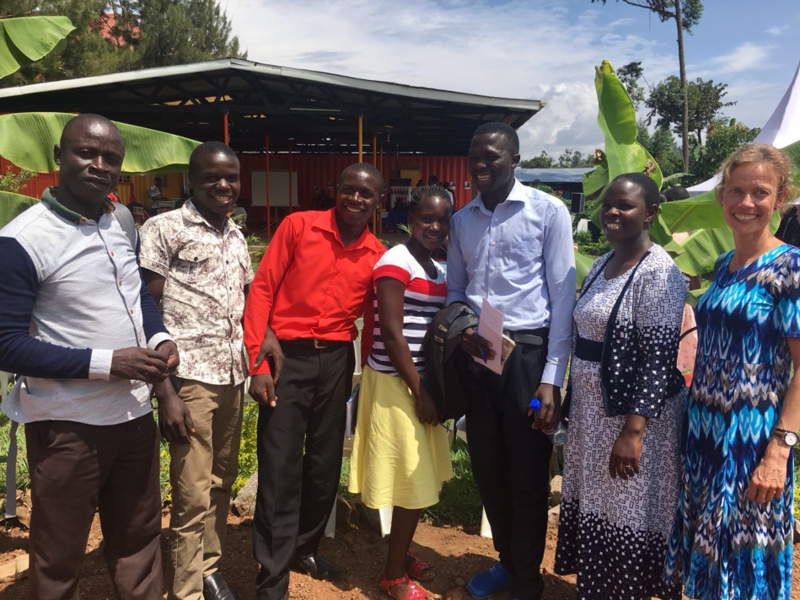 Manager Ruth, Social Worker Robert and the 4 youngsters in the program went to Kampala to see, learn, get to know others who work with youth and education, and to be inspired. Marit, who has been a voluntary employee, also attended the event towards the end of her stay at Nyenga. Photo caption: Robert (social worker), the four Youths attending the Kavli project; William, Samuel, Juliet and Peter. Next to Peter is Ruth (General Manager) and Marit. 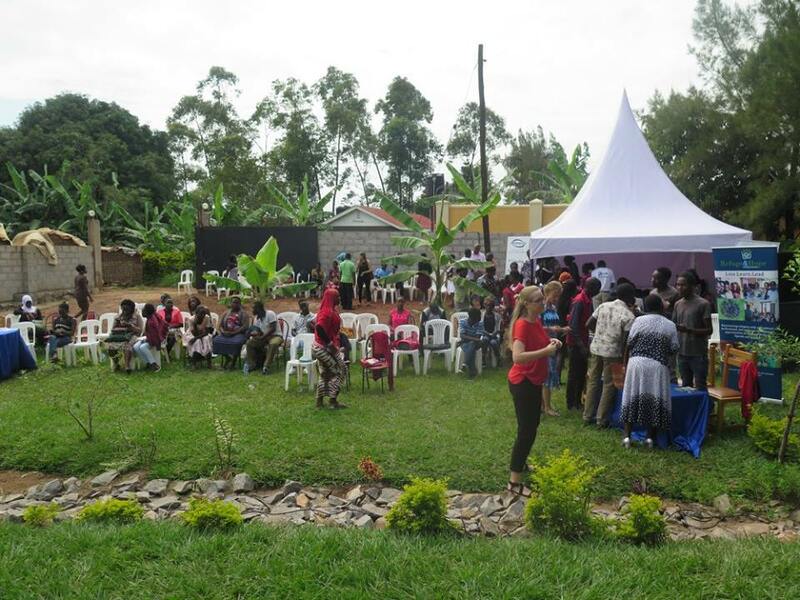 The event took place at the Fontes Youth Centre in Bunga in Kampala, a lovely venue for youth and companies to meet. The Fontes Catering Course students provided all the food for the event and impressed with their professionality. 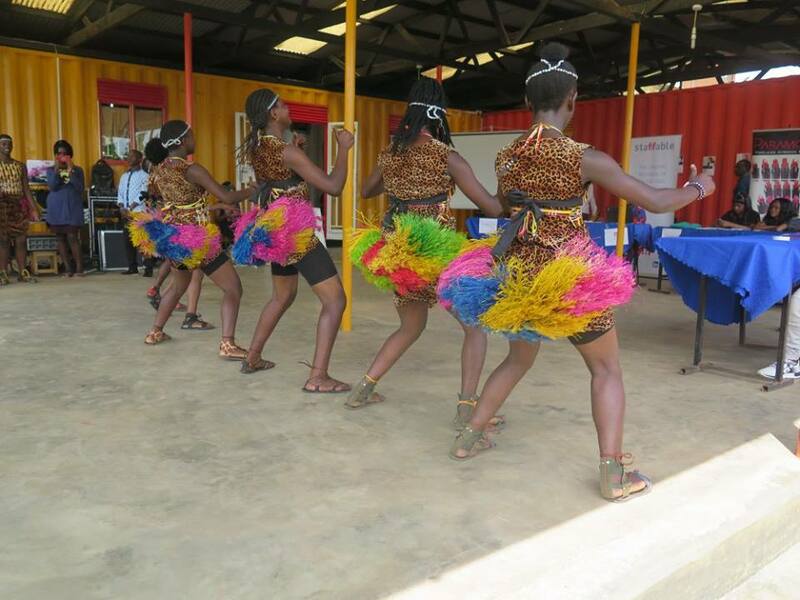 The Fontes Cultural Troupe gave an energetic performance to close the event.